This morning’s broadcast headlines are dominated by the ongoing migrant crisis in Calais and Kent. The Prime Minister has chaired a COBR meeting this morning where it was confirmed that the Government would be looking at the MOD offering up parts of the Defence estate as lorry parks to ease congestion around Folkestone. The Times and the Daily Telegraph report that Whitehall sources have suggested that British Armed Forces are set to get involved in the Calais migrant crisis for the first time in order to keep the roads clear ahead of a weekend of chaos. The papers write that military planners are considering opening up MOD land to relieve roads in Kent blocked by lorries unable to cross the Channel. They suggest that MOD land around Folkestone would be used as temporary lorry parks under the proposal, to reduce congestion which has blocked miles of motorway for days. The Daily Telegraph also writes that Surrey Police and Crime Commissioner Kevin Hurley has said that the Gurkhas should be used to secure the British border as the pressure put on the local police by the growing number of migrant mounts. He questions how much trouble it would really be to mobilise parts of the British Army to support the UK Border Agency as well as the French. In a comment piece in The Independent, Mary Dejevsky suggests that the Army are ideally suited to restoring order, averting threats to life and health and dealing with humanitarian emergencies, all of which is needed in defending our borders. We need to do more to help lorry drivers and holidaymakers. We're going to do everything we can to reduce the disruption, including using MoD land, and we'll be looking at other options that we can take as well. The Times reports that the son of one of Britain's most notorious hate preachers has gone to Syria to fight with ISIL. Mohammed Fostok, whose father Omar Bakri Mohammed, founded the extremist al-Muharijoun organisation, left Britain in October last year. Security sources say it is their firm belief that he has joined ISIL and is living in an area of Syria controlled by the group. The public supports extending air strikes against Islamic State into Syria by a margin of two to one, according to an opinion poll for The Independent. The paper suggests that the Prime Minister will wait until after the Labour leadership election on the 12th September before raising the possibility of expanding British airstrikes over Syria as well as Iraq. Many of today’s papers, including the Daily Telegraph, The Guardian, the Daily Mail and The Express report that senior judges upheld a ruling that the detentions on Serdar Mohammed, a suspected Afghani bomb maker, for 110 days without charge was illegal, and of the papers report that hundreds of Taliban suspects held by British troops could sue for compensation after Appeal Court judges rule their detention broke the Human Rights Act. We are extremely disappointed with this judgement and will be seeking leave to appeal to the Supreme Court. We were right to detain Serdar Mohammed who we believed to be involved in the production of IEDs on an industrial scale. During his capture our troops came under heavy fire, and 3 of them were wounded. The notion that dangerous insurgents cannot be detained for more than a few hours is ludicrous. Our Bill of Rights will help address these concerns as will other measures Ministers have been working on since the election. We will announce proposals later this year. This judgment further demonstrates the need to ensure the primacy of International Humanitarian Law such as the Geneva Conventions, which were designed for conflict situations. Our armed forces must be able to detain enemies who attempt to maim and kill UK service personnel and civilians. If the law does not allow that then the law must change. The Financial Times, The Times, and the Daily Telegraph follow up on yesterday’s reporting that British jets, taking part in the Baltic Air Policing mission, intercepted ten Russian warplanes in one sortie over the Baltic. 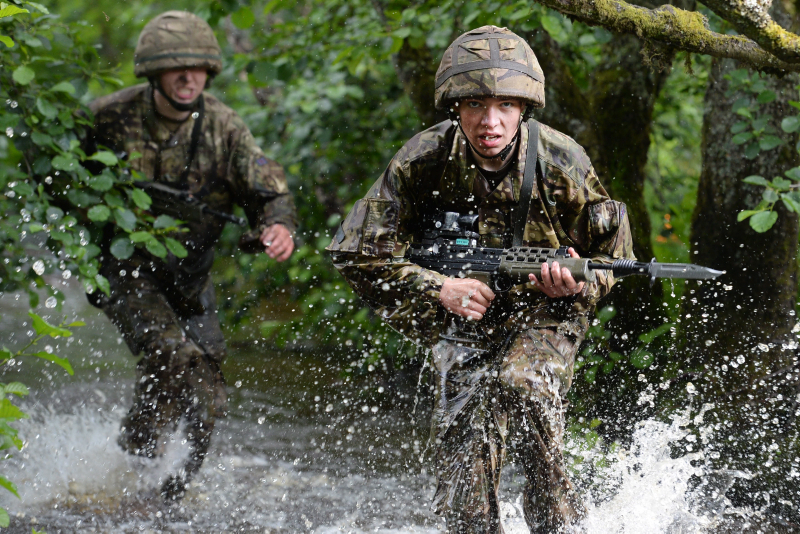 Trainee soldiers have been cutting their teeth during a demanding week-long exercise in Northumberland. 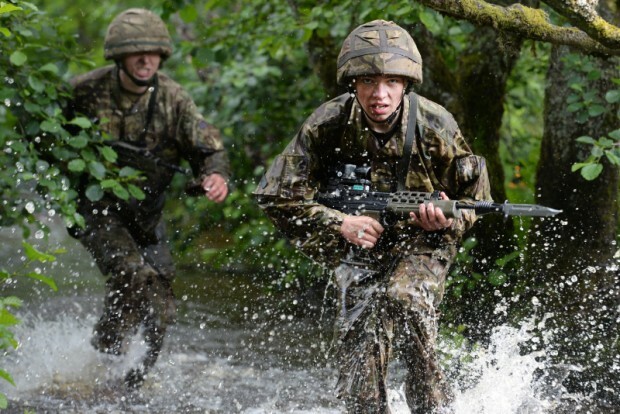 Scores of junior soldiers left the classrooms of Army Foundation College in Harrogate, where they are studying on a 20 week-long basic training course, and took to the hills of Otterburn training area.